The real van driver in Barcelona, on 17 August 2017, escaped into a Turkish restaurant. He was working for the security services? The 'patsies' were the 'Moroccans'. 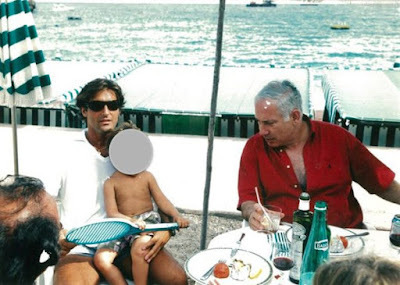 The French-Israeli businessman, Arnaud Mimran, and Netanyahu. Mimran is suspected of being close to the Franco-Israeli mafia. france24. There is a belief that the security services recruit criminals to be the 'patsies' in false flag terror attacks. There is a belief that the security services run the trade in narcotics, and, control the so-called Islamists. On 25 August 2017, France's top anti-narcotics police officer, François Thierry, was indicted on drug-trafficking charges. François Thierry was the head of OCRTIS, the Central Office for the Repression of Illicit Drug Trafficking. OCRTIS has been accused of organizing drug trafficking in France. 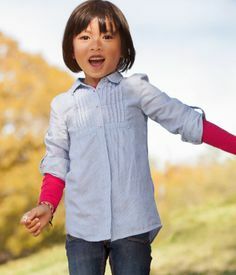 Child model. JULIAN CADMAN PHOTOS - FAMILY AND FRIENDS. French traffickers brought narcotics into France via Barcelona. A document about "setting up a controlled delivery operation between Barcelona and France" bears the signature of François Thierry himself. 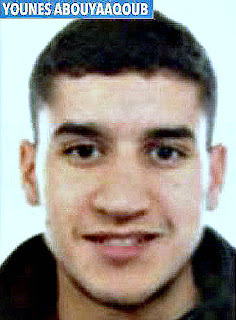 François Thierry has been linked to Sofiane Hambli, one of Europe's main drug traffickers. France's Customs Intelligence force blew the whistle on François Thierry. Officers in France's Customs Intelligence force have also been investigated for involvement with narcotics and Kalachnikov rifles. François Thierry still has the support of France's anti-terror police. 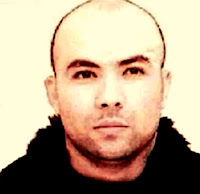 Sofiane Hambli is said to have worked with France's anti-terror police, in connection with Islamists. Islamist are often linked to drug-trafficking. Terrorists are often recruited from those who have served prison time on drugs charges. The Moroccan-born imam Abdelbaki Es-Satty is the alleged leader of the group that carried out the Barcelona attack of 17 August 2017. Es-Satty was imprisoned on drugs charges from 2010 to 2014. 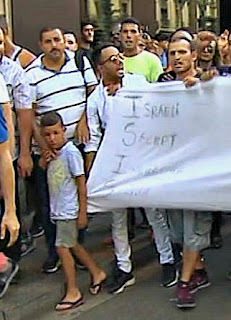 Marchers in Barcelona point out that ISIS is the Israeli Secret Intelligence Service. After the Barcelona Attack of 17 August 2017, there was an official anti-terrorism march in Barcelona. Spanish King Felipe VI, Prime Minister Mariano Rajoy and other top officials were greeted with booing. Marchers shouted: "Felipe, if you want peace you don't do weapons trafficking" and "Mariano, we want peace not weapons sales." "Large numbers of protesters denounced official complicity with terrorism." The Madrid Bombing of 2004 was reportedly the work of the security services. In Barcelona, in August 2017, "Protesters cited evidence of state foreknowledge or complicity in the attack." "The Barcelona attack is unmasking the Catalan nationalists." Reportedly, the 'Moroccans' linked to the Barcelona attack visited Paris prior to the attack. 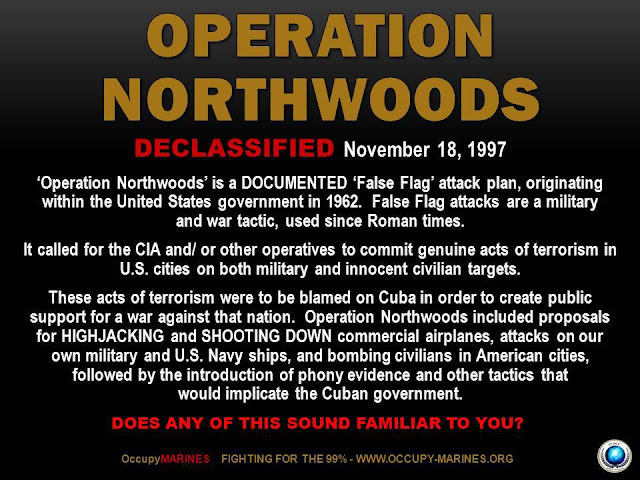 It has been reported that these 'Moroccans' were under close surveillance by multiple intelligence services, including those of France, the United States, and Belgium. BFM-TV reported, "Two members ... made an 'express' round-trip to Paris" on August 11-12." French Interior Minister Gérard Collomb confirmed that Paris was following these individuals and had passed on this information to the Spanish government. Younes, who died twice, on 17 August and on 21 August 2017. He escaped into a restaurant surrounded by police, and then he didn't. He has a convex nose and he has a concave nose? The alleged driver in the Barcelona attack, Younes Abouyaaqoub, was in direct electronic communication via WhatsApp with Exeintel, a private US intelligence agency. According to a report in Público, an Exeintel operative texted Younes Abouyaaqoub on July 31. 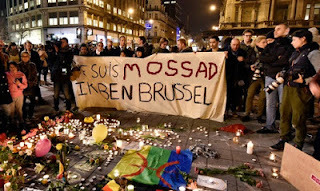 The alleged attackers - including the shooters at Charlie Hebdo and the Bataclan theatre in Paris in 2015 and the Brussels attack in 2016 - were all known to police and European intelligence services prior to the attacks. Es Satty was reportedly killed along with another two others on the night of August 16 in an explosion at a house in Alcanar, a village south of Barcelona, that was reportedly being used as a drugs factory. While in prison for drug smuggling, Es Satty met Rachid Aglif who had a history of committing robberies. 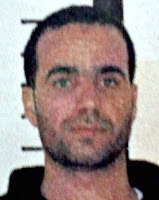 Rachid Aglif had allegedly been in contact with people allegedly linked to the 2004 Madrid Bombs. "The security services organised the Madrid bombs"
"Es Satty has links with the 2004 Madrid bombers" and recently travelled to (a CIA-recruiting ground in) Belgium. Not one of the three accused of organizing the Madrid Bombs was convicted of doing so. Rafa Zuher and Jose Emilio Suarez were involved in the Madrid bomb plot, according to the authorities. Spain's El Mundo newspaper said Moroccan Rafa Zuher and Spaniard Jose Emilio Suarez had been in contact with police before the attacks. 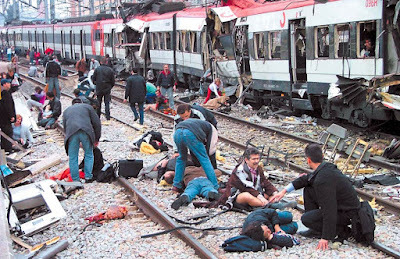 "THE man accused of supplying the dynamite used in the al-Qaeda train bombings in Madrid was in possession of the private telephone number of the head of Spain’s Civil Guard bomb squad, it emerged yesterday. "Emilio Suárez Trashorras, who is alleged to have supplied 200kg of dynamite used in the bombs, had obtained the number of Juan Jesús Sánchez Manzano, the head of Tedax." Prime Minister José Luis Rodríguez has confirmed allegations first published in the Spanish daily El Pais on December 13 that the former Popular Party (PP) government led by José María Aznar ordered the destruction of computer records dealing with the key period between the Madrid train bombings and the general election held three days later that it lost to Zapatero’s Socialist Workers Party (PSOE). El Pais reported that a specialist computer company was paid $12,000 to erase the computer records, including back-up security copies. "Al Qaeda, ETA - Gladio?" Broeckers sees a link between the Madrid bombs and the bomb attack on the central station of Bologna in August 1980. 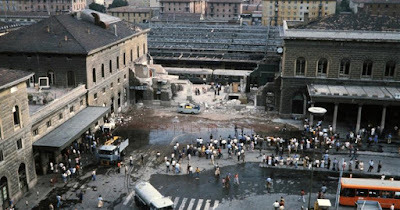 Between 1969 and 1980, 245 people were killed in bomb attacks on central stations, trains and frequented squares in Italy. Fifteen years after the Bologna incident, the culprits were caught. Two fascists were arrested and sentenced, along with two members of the Italian secret services, as well as the head of the P-2 lodge, Licio Gelli, and his aide, CIA agent Francesco Pazienza. 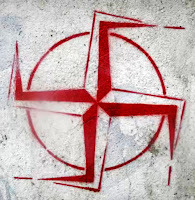 The Gladio network began to be revealed. 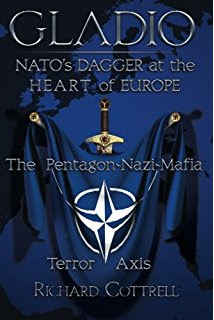 The Gladio network, reportedly run by the CIA and other security services, used the Strategy of Tension to terrorize the Italian population and advance a fascist agenda. Osama bin Laden is a crypto-Jew, who worked for the Jewish mafia. 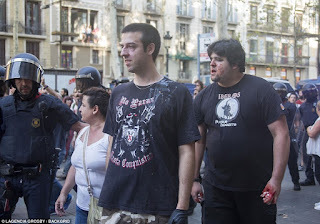 What about the Spanish police and the Madrid 'terrorists'? 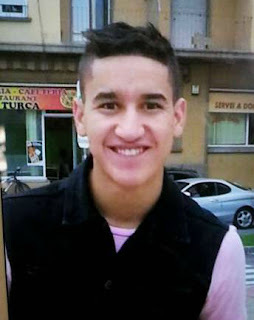 Three of the suspects in the Madrid bombings were informants for a police inspector in northern Spain. The bombings were not traditional terrorism, but were part of a strategy of tension orchestrated by the Spanish far right to influence the Spanish election results (thwarted by the refusal of the Spanish media to play along and by Aznar's bungling attempts to use the bombings for his political benefit). 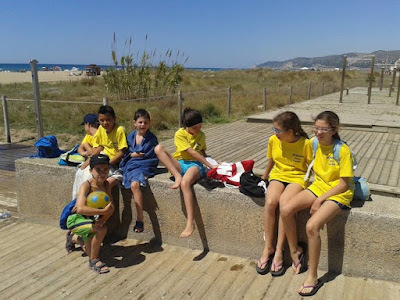 The Spanish police would have been heavily involved in this, and one would expect close connections between the police and the alleged terrorists. 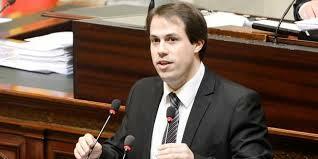 Belgian Member of Parliament Laurent Louis (above) suggested that the security services were involved in carrying out the 22 March 2016 attacks in Brussels. "Police in Spain have found a second car used in the train bombings in Madrid in March, reports say. "The abandoned rental car was discovered in the town of Alcala de Henares, where several of the bombs are thought to have been loaded on to trains, in June. "Spanish newspaper El Mundo said the car was parked 30 metres from where another vehicle also believed to have been used by the bombers was found." "A resident of the Madrid suburb alerted police to the car after noticing it had been abandoned, El Mundo said. "Police treated it as a stolen vehicle and returned it to the rental company, whose staff started to clean it - before discovering a suitcase inside containing suspicious material. 'Much of the evidence that the terrorists left inside the car disappeared in the course of the cleaning of the car,' the daily said. "DNA tests confirmed that the car was used by two suspected suspects in the case, one of whom blew themselves (sic) up in a flat in April to avoid arrest, the report said." 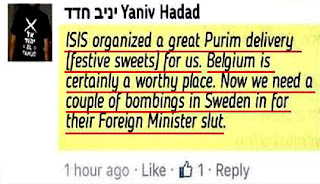 Many Jews welcomed the 22 March 2016 attack on Brussels. I think even people who find conspiracy theory silly are going to have trouble with this one. 1. The police failed to examine a car found 30 meters from another vehicle which is supposed to have been used by the bombers. 3. The rental company gave it such a cleaning that it destroyed nearly all the evidence except, conveniently, DNA evidence which tied the car to two suspected suspects in the case. 4. One of these suspects had blown himself up in what remains a very troubling incident when the main supposed terrorist plotter, while surrounded by police, conveniently made himself permanently unavailable before he could proclaim his innocence or for whom he was working. The suitcase contained the cliché cassettes with calls to jihad and martyrdom. After discovering this evidence, the police waited one month before bothering to mention it to the judge investigating the case (the police claim they were being 'cautious'). It is clear that as evidence continues to mount showing connections between the patsies and Spanish police, the police are starting to panic, and are resorting to some rather obvious evidence manufacturing. You can see how absurdly easy it is to create a fake 'al-Qaeda' terrorist attack. Take one petty criminal from Madrid of plausible ethnicity and pay him some money to hang out with some people who the authorities can associate with al-Qaeda. After the bomb attack, either plant a bag of unexploded bombs or find a real dud bag and, while it is in the police station, put a phone and a phone card from the shop of the petty criminal in the bag. The criminal is instantly turned into Lee Harvey Oswald, and the bombing attack is instantly turned into an act of Islamic fundamentalist terrorism. Israel helped to carry out the 2011 attacks on Norway's island of Utøya (above), reportedly. 1. The main suspect, Jamal Zougam appears to have been a petty scammer and fence who dealt in stolen telephones and credit cards brought to him by a ring of pickpockets in Madrid. "I know what he is accused of, but this is not the Jamal we know." "When we had a beer together he never talked about religion. He was more interested in making money." 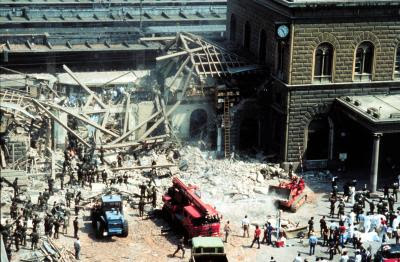 Assets of the CIA carried out the Bologna bombing in 1980. Zougam is tied into the bombings by a phonecard said to have come from his shop which was found in the one bag of bombs which did not explode. The reason it did not explode is supposedly because the trigger for the explosion, a phone call to a disposable cell phone in the bag, was not made. The reason the call was not made? Because the terrorists forgot (or because they set the clock on one detonator for 19:40 rather than 7:40)! The famous bag itself was found in a police station, where it supposedly had been taken by the police along with other luggage found at the scene of the bombing. The Spanish authorities don't seem comfortable with witness statements that Zougam was on the train, so the fact one of his phones and phonecards were used really doesn't prove anything except that someone involved may have bought them from him. Belgian soldiers roasting a boy. The Belgian military has been linked to massacres carried out in Belgian supermarkets in the 1980s. 2. A group of radical Muslims had moved into Zougam's neighborhood recently, but Zougam was never seen in their company. He liked to go to nightclubs, was interested in sporting the latest fashions, and had boasted about his many girlfriends. In other words, he was just like Mohamed Atta, another 'Islamic fundamentalist' with decidedly un-fundamentalist choices in lifestyle! 3. Moroccan authorities have identified the three arrested Moroccans as Jamal Zougam, 30, an office worker, Muhammad Bekkali, 31, a mechanic and Muhammad Chaui, 34, a factory worker. They are not known to be connected to terrorism (and the Moroccans appear to be on top of such things). This is eerily reminiscent of the stolen identities used in the 9-11 attack. 4. The Abu Hafs al Masri Brigade, which took credit for the bombings, may not actually exist. 5. Of the five arrested men, three are said to be Moroccans (with five other Moroccan suspects not yet apprehended), and two are supposed to be from India. Although it may be a translation problem, they were described as being of 'Hindu' origin, odd members for al-Qaeda! It is interesting that initially the men of 'Hindu' origin were simply being questioned and were not expected to be arrested. 6. There were no suicide bombers. ISIS is a CIA Gladio operation, involving terror and mind control. If 'Jamal Zougam' (if that is his real name) was involved, and that is certainly not proven, it seems likely he did it for money rather than for religious ideals. If so, anyone could have hired him. The complete absence of any timely claim to have done the act from any known terrorist group makes it highly unlikely that it was a terrorist act in the traditional sense (I don't see any of the late claims of responsibility as being credible). The weavers of stories have already started their work of tying 'Jamal Zougam' into the web of international Islamic terrorism. Don't believe the hype! After the Bologna Bombing of 1980, the Italian Parliament declared: "Those massacres, those bombs, those military actions had been organised or promoted or supported by men inside Italian State Institutions and, as has been discovered more recently, by men linked to the structures of the United States Intelligence." Lee Harvey Oswald said: "I am just a patsy." "I am innocent! I am innocent!" 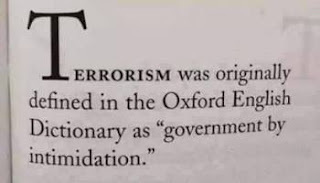 Real terrorists are proud to take credit for what they have done. Patsies yell out their innocence. The supposed ringleader, Jamal Zougam, wept. Isn't he supposed to be defiant to the court and proud of what he has done? These are some weird terrorists. Bologna railway station. The Guardian produced the headline: ‘Bombs Used at Bologna came from NATO unit’. Kurt Nimmo ( kurtnimmo) reminds us that the alleged bombers in Spain blew themselves up as police closed in. Nimmo writes:"It was convenient because dead men tell no tales." Now there are unconfirmed reports British police killed two 'suicide bombers' outside the HSBC tower at Canary Wharf in London, according to the New Zealand Herald. "Following the shooting, the 8000 workers in the 44-storey tower were told to stay away from windows and remain in the building for at least six hours," a New Zealand man working for Reuters in London told the newspaper. Another coincidence is the alleged participation of Mohammed al-Gerbouzi in the London bombings. "As head of the Group of Islamic Combatants of Morocco, he has been linked to the Madrid atrocities and bombings in Casablanca two years ago when 40 people died," according to the Edinburgh Evening News. "Mohammed al Gerbouzi is said to have been living with his family in Britain for 16 years. It is understood he was granted indefinite leave to remain in the country, despite warnings from Morocco that he posed a threat." Spain is full of fascists who are willing to support the Deep State. Nimmo notes: Isn’t it odd a potential threat to security such as al-Gerbouzi is allowed to walk around? "A former pupil of cleric Abu Qatada - said to be Osama Bin Laden's European ambassador -Gerbouzi is alleged by the Spanish authorities to have spoken to some of the Madrid bombers twice in the hours before they blew themselves up as police closed in." Nimmo wonders if the bombers al-Gerbouzi talked with are the same ones accused of working with the Spanish police. "It is impossible for bits of the floor to become embedded in the roof, unless the charges were fixed BELOW the floor before detonation. This is borne out by the fact that the train disabled outside Atocha station had its back completely broken in two different places. "Iit is beyond reasonable doubt that Spanish Rail identity cards were used... They had direct access to the secure Spanish Rail computer system." "The [Madrid] terrorists who blew themselves up while shouting 'God is great' were following al-Qa'ida's textbook policy of self-destruction when cornered." 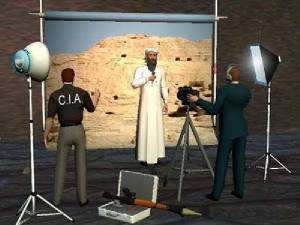 "The fictional 'al-Qaeda' group is notionally Arabic, with Osama Bin Laden as its titular head. But as any Arab including Bin Laden will assure you, many of the complex English words used in the forged 'al Qaeda Suicide Manual' simply do not exist in Arabic. As to its origin, the forgery was handed to Police Special Branch by a member of the British Secret Intelligence Service [MI6]..."
JULIAN CADMAN PHOTOS - FAMILY AND FRIENDS. AANGIRFAN: POLICE LINKED TO MADRID BOMBS? Yes, Virginia, the Charlottesville Car Crash was Staged. Another piece of good research, Aanir ! Tonight I watched two episodes of Black Lake a Scandi tv series.In the second episode a young boy appears in the headlights of a car on a snow covered road and then disappears.He is only on the screen for a short time.But he looks the double of Julian Cadman in the picture of him in a blazer and scull tie. Looked up cast but he and a few others not named.See if anyone can spot it. SCOTLAND'S PARLIAMENT - SUCCESS OR FAILURE?